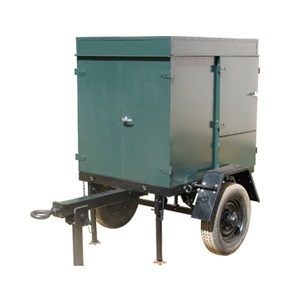 Our Transformer Oil Filter Machines are designed for the efficient treatment of insulating oil used in transformers, switchgear, substations and switching stations. These filters perform filtration, dehydration and degasification in medium vacuum environment. The plants are available with capacities varying from 255, 600, 1200 and 2400 liters per hour and are available either as semi mobile or fully mobile units. Our Insulating Oil Filter Plants are designed for continuous trouble free operation and are suitable for out door use under all types of climatic conditions.